What information(s) does the Justfreebies.com site obtain? User Provided Information – Upon registering with our Site, you, the user, may provide certain information we require of your own volition. Please note that this may include information such as the following: (a) user’s name, user’s residential or mobile phone number, postal address and zip code, e-mail address, user’s date of birth and gender, as well as answers to survey questions and other pertinent registration information; (b) information related to transactions, for example, sweepstakes entry information, offer responses, or upon the use or download of an/our applications; (c) any information you, the user, must provide us should you contact our Site; (d) any and all information you, the user, enter into our Justfreebies.com site system, like contact information (which is, please note, distinctly labeled at the point of data entry); and (e) any and all information you, the user, decide to post on our website. Social Network and Information Provided. Justfreebies.com users may also log in and register into our Site using social media accounts and networks, such as Google +, Facebook, Hotmail, or Yahoo!. Once you decide to connect with our Site via a social media account, you subsequently give our Site absolute permission to collect, store, and retain any and all specified data from that particular social media account. Please note that this information can include your name, public profile picture and information, birthday and gender, e-mail address, friends list, and city you currently reside in. It is important to understand that any information we may obtain via third-party services may vary since this depends on your own personal settings and/or their third-party privacy policies. Should you wish to control information received via these social media networks, you must do so by altering the privacy settings on your social media account(s). This information is used in order to implement our services, to personalize your Site experience, to present any offers that may be of relevance to you and your Site posts. Automatically Collected Information – When using the Justfreebies.com website, we collect certain information automatically, including Internet addresses, referring and exit page, browser type, clickstream data, Internet Service Provider (ISP), timestamps, operating system, the type of cellular device you use as well as your cellular device’s unique device ID, your cellular operating system and the IP address of your cellular device. Additionally, we analyze and track volume statistical information and non-identifying and aggregate usage from Site customers and visitors. The information collected is recorded and utilized for purposes such as to administer our Site in order to continually improve it and to help diagnose any technical problems. Cookies. Cookies are known as small data files and are placed in your browser. Cookies act as information transmitters relaying information such as user ID, session ID, and conversion data. With this information website, providers can then recognize a browser or cellular device and help gather required information including the number of Site visitors and popularity of specific pages and advertisements. First-party and third-party cookies are used together to report ad impressions and interactions with ad impressions, as well as other uses of ad services that are relative to Site visits. This particular information is subsequently used to tailor your experience on the Justfreebies.com website. Third-Party Analytics. At times, Justfreebies.com may collect certain relevant information. This collection is done through a third-party data provider and analytics service, which may collect what is deemed non-sensitive user information. Please note that this may include: your session ID, your user ID, conversion data, the information you provide us, and your interest data. This collected information gives us tools to gauge amount and frequency of Site visitors. As well, it allows us to better understand how users, registered and non, use our Site, and to ultimately, improve your experience. Google Analytics. Google Analytics is enabled to support Display Advertising. We, at Justfreebies.com, have implemented these following Google Analytics features, all with the goal of supporting Display Advertising: Google Display Network Impression Reporting, Remarketing, Google Analytics Demographics, Interest Reporting, and DoubleClick Campaign Manager integration. Should you desire to, you, the user, may opt-out of Google Analytics for Display Advertising and customize Google Display Network advertisements by following the opt-out steps at http://www.google.com/settings/ads. Remarketing with Google Analytics. Our Site uses Remarketing with Google Analytics in order to advertise online. Google and any other third-party vendors may decide to show our ads on websites across the Internet. Google, other third-party providers, and our Site Justfreebies.com use first-party cookies (like Google Analytics cookie) and any third-party cookies (like DoubleClick cookie) in conjunction, to optimize, inform, and serve ads. This is all based on previous visits to our Site. DoubleClick Campaign Manager integration and Google Display Network Impression Reporting. We, Justfreebies.com, and our third-party vendors, including Google, use first-party cookies (such as the Google Analytics cookie) and third-party cookies (such as the DoubleClick cookie) simultaneously. We do this so we can attain a report on how our ad impressions and interactions with these said ad impressions, in conjunction with the use of other ad services related to visits to our Justfreebies.com website. Interest Reporting and Google Analytics Demographics. Data that we attain from any third-party audience data (including gender, age, and interests) and Google’s Interest-based advertising services, paired with Google Analytics, help us decide how to match you, the user, relevant advertisements, and messages. Data Providers. Our Site works with data providers who often collect web log data from Site users (this may include IP address, browser and/or operating system information) which enable our Site to recognize a unique browser cookie to facilitate receiving personalized e-mail, customized ads, or user relevant content. These cookies contain no identifiable or personal information. However, they do reflect any de-identified demographic information or any other data which may be linked to your voluntarily submitted data (example: user’s e-mail address(es) that is solely shared in non-human, hashed readable format). Criteo. Our Site utilizes Criteo to customize ads for Site visitors so we may enhance their web browsing experience. To opt out of Criteo or to learn more about it, you may email them or visit their information page: http://privacy.criteoemail.com/us/privacy-policy.html. Traverse. Our Site works with Traverse which provides interest-based advertisements to Users. However, Traverse may link your User information along with other information, for example, User offline purchase data, to display interesting deals or offers to Users which may be relevant to you. Traverse may also use certain device identifiers linked to targeted advertisements, in their applications. Should you so wish, you can visit their website to learn more at: http://www.traversedata.com/privacy/product-privacy-policy. Other Data Sharing. Additionally, Justfreebies.com may decide to share any/all information that collected with its Site service providers or vendors who help our Site operate our web business; in response to a subpoena, or any such similar investigative demand, a request for cooperation from a law enforcement or other government agency, a court order; to exercise or exercise our legal rights; to guard against any legal claims; when we, Justfreebies.com, believe full disclosure is required to prevent, investigate, or take action concerning any and all suspected fraud, illegal activity, or other wrongdoing; to defend and protect the property, rights, or safety of our employees, our company, our Site users, or others; or to enforce our Justfreebies.com Site terms and conditions or other policies or agreement. We reserve the right to transfer any information collected in connection with a corporate change such as our acquisition by another company, a merger, or a total or partial sale of our assets (which may include being part of a bankruptcy proceeding). What are my User opt-out rights? Justfreebies.com Newsletter. Users may decide to unsubscribe from our newsletter by clicking the link included in the e-mail Users receive or, if they prefer, by clicking here: Unsubscribe. You may also unsubscribe by sending an e-mail to support@Justfreebies.com. Tracking and Advertising. Presently, when our Site collects data from Users for the purpose of tracking sequential User online activities, including online services or across any third-party websites, Justforefreebies.com does not respond to “Do Not Track” frameworks or signals requesting alterations in our online visitor User tracking or use of services. Please note that our Justfreebies.com website can/may include third-party links and advertising to other Internet sites. As well, our Site may work in conjunction with third-party advertisers and advertising networks who aide advertisement delivery to Users. Furthermore, they may collect data about sequential User browsing activity across different websites all to make any advertising more appropriate. Adverts may be personalized, that is to say, that they are intended to be appropriate and relevant to Users, all according to data Justfreebies.com or online advertising networks accumulate with respect to User online activities over the Internet, over time. Please visit the Network Advertising Initiative to opt-out of these ads, and to read more information on how to opt-out of similar interest-based advertising by Users. Visit http://www.networkadvertising.org for more information about the NAI and http://www.networkadvertising.org/managing/opt_out.asp for the opt-out page. You may also visit http://www.aboutads.info/consumers/ for more information on how to opt-out from online behavioral ads (served by some or all participating companies) and online behavioral advertising. Cookies. Any informatics collected via cookies and other similar programs that do not directly identify Users is utilized to assist our Site in delivering relevant ads to Users when they are on Internet webpages. Cookies are also used to improve advertising performance on other websites. Even though Users may not opt-out of receiving web advertisements, in general, they may manage data collection on our website that is used for targeted Justfreebies.com advertising during User visits to other Internet sites. Should you decide to opt-out of Justfreebies.com targeted advertising data collection, please read through these instructions: Opt-out. If you want to learn more about third-party interest-based advertising that may collect information via our website, as well as learn more about the choices available from companies participating in industry self-regulation, Users can go and visit www.aboutads.info. Google Analytics. Users may opt-out of Google Analytics for customizing Google Display Network advertisements and Display Advertising at www.google.com/settings/ads. 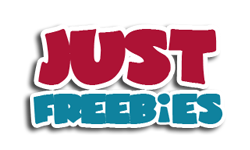 Justfreebies.com will retain any User Provided information for as long as a Site User uses our Site and, thereafter, for a reasonable amount of time. If any User would like to update, access, or delete their User Provided Data, we ask that you to please contact us at support@Justfreebies.com or our company address below and we will promptly respond to you. We ask that you correct any inaccuracies, or delete any information before Justfreebies.com is able to provide the User with any information pertaining to their account. Furthermore, our Site may ask a User to verify their identity. All or some of the User Provided Data, please note, may be needed for our Site to perform properly, and Justfreebies.com may be expected to retain certain information by law. We, at Justfreebies.com, take appropriate and reasonable measures to help prevent the misuse, loss, and alteration of User information by deliberately limiting access to the User information database where it is stored. Although our Site follows procedures to protect User information in our possession, we would like to bring your attention to the fact that no security system is perfect, and therefore you should not expect, and we cannot promise, that your User information will be secure at all times. Our Site is not intended for children under the age of 13. Thus, Justfreebies.com does not knowingly collect personal data from children under the age of 13. Should we become aware of our unintentional advertisement towards such an individual, we will delete such information from our records. Justfreebies.com may contain links to other sites with different information practices. We have no control over information collected or submitted to these third parties. Users should consult these other website privacy policies to ascertain how their privacy is protected. Copyright © 2017 Justfreebies.com. All rights reserved.